Some destinations you visit for the culture; some you visit for natural beauty; some you might visit for a particular activity or maybe for the nightlife or beach scene. Some, you visit just because they’re something a little different and perhaps a little more obscure than most typical round-the-world big-ticket items. 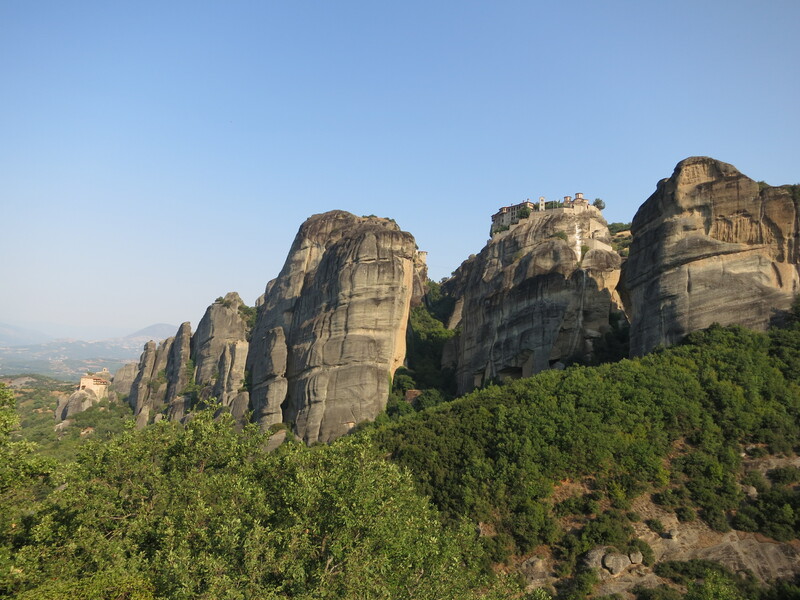 So we found ourselves a few hours’ drive north of Athens, in the relatively unremarkable town of Kalambaka, for one night only, to spend a morning exploring the lonely monasteries of Metéora, atop their giant sandstone plinths. Evidently the monks of the area, centuries ago, decided that they weren’t really big fans of contact with the rest of us. Escaping political and religious conflict, they built their new houses of God in the most inaccessible locations they could, and retreated to a life separate from the world below. They weren’t completely cut off – monks could and did climb up ropes from the ground below, either directly on the rock face, or in a cage or net drawn up by a crane in the monastery. (The story goes that they wouldn’t repair or replace the ropes when they frayed, even to mere threads, instead trusting to God to decide who should fall when they eventually broke. Bunch of geniuses, it sounds like.) 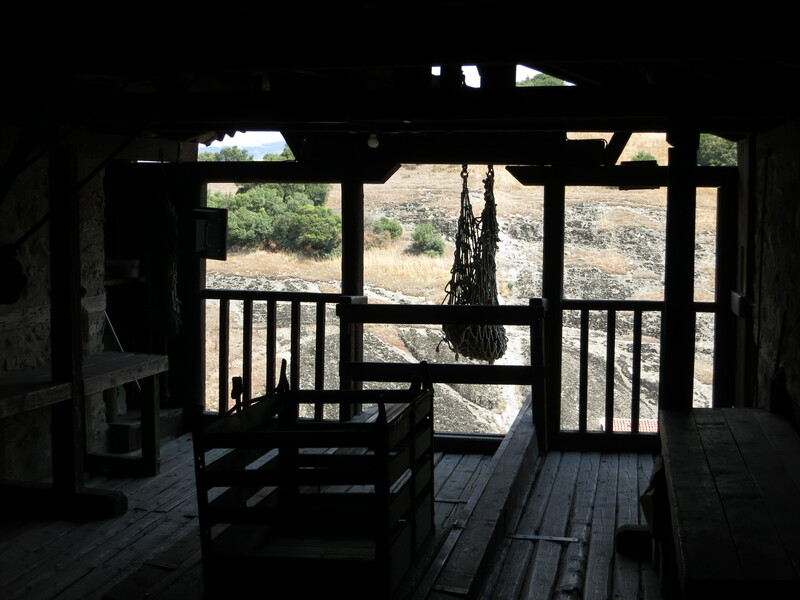 But in their isolation, they built something quite special, which we thought were worth a look. 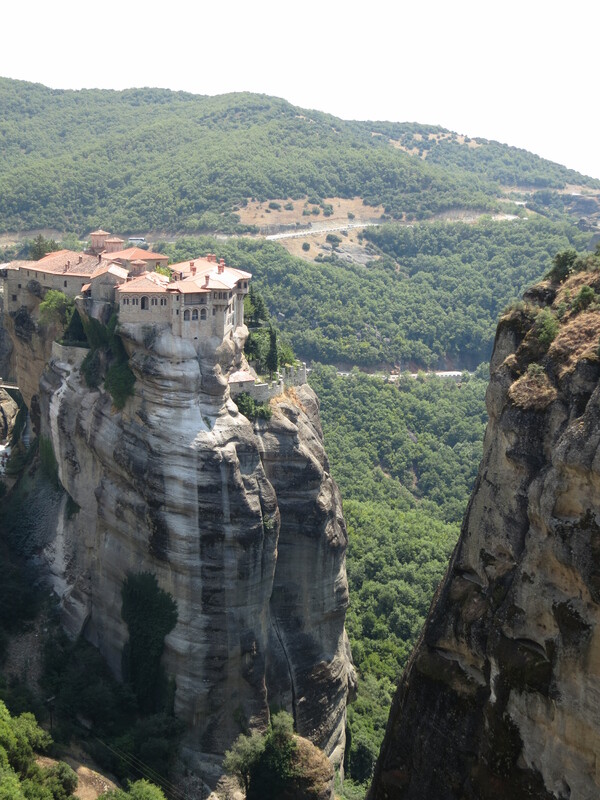 While a number of the monasteries are still monastic (or now nunnified, or whatever the appropriate adjective is), others are open to the public, and some are both. They seem to have become somewhat of a tourist magnet (albeit perhaps not for the type of tourists we normally run into on our ‘let’s go see the world’ gap-year-like travels) – and perfectly reasonably so. They’re a good wander through, but really, it’s the location and the simple fact of their existence that’s the drawcard, rather than any particular detail of the monasteries themselves. 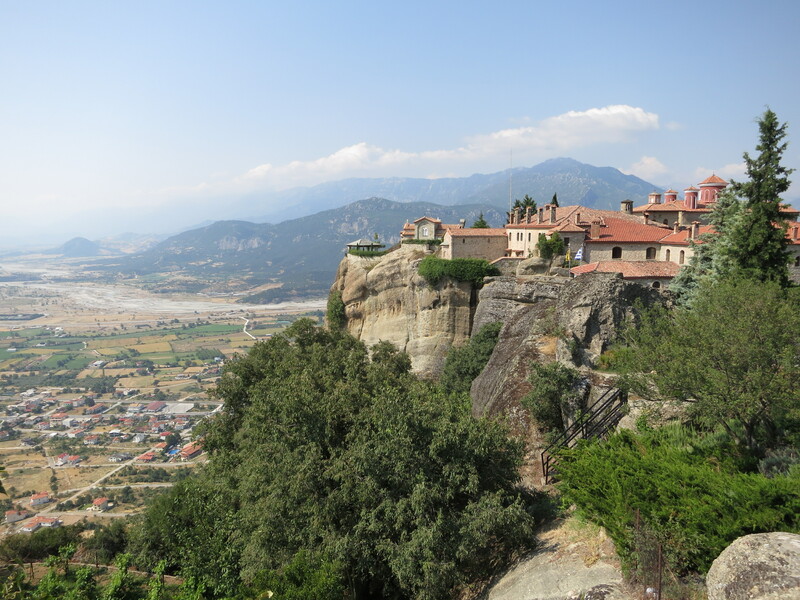 The views from one to the other, and out among the sandstone hills, make Metéora well worth a short trip, to see something that little bit different. This entry was posted in Travel and tagged greece by Sam Roberton. Bookmark the permalink.